Distributed in the US by Colleen Cardas Imports, the new Moos Mini Aero speakers ($2499/pair) represent a serious attempt to get good sound from powered wireless speakers. 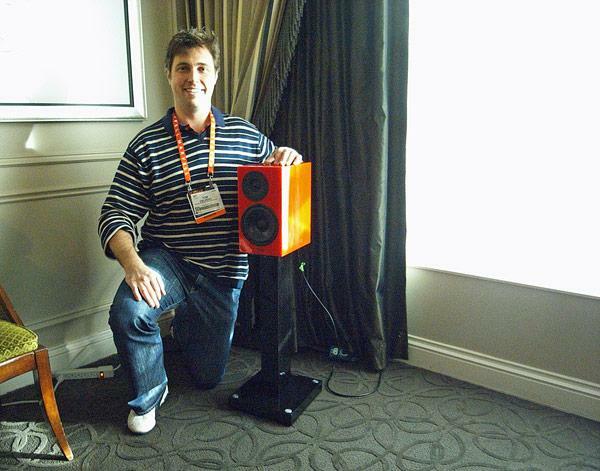 Founder of the Australian company, Tom Celinski, shown in the photo and once with Linn, told me that the two drive-units are ScanSpeak Revelators and, in fact, the speakers are assembled by ScanSpeak. A USB2.0 interface guarantees bit-accurate transmission of digital audio at up to 24bit/96kHz. The wireless data are fed to a DSP-based digital crossover running on Analog Devices SHARC floating-point chips. Thee crossover in turn feeds the data for each drive-unit to a quad mono differential Wolfson DAC which drives a Hypex 200W class-D amplifier module. The sound was open and spacious. The speaker, which was honored with an International CES Innovations 2013 Design and Engineering Award, is scheduled to start shipping in April. Using the same treble and upper-midrange Air-Motion Transformer units as the Class Column 3 that Bob Deutsch writes about in the next story, the much more expensive Tensor Beta Mk.2 ($35,000/pair) adds new lower midrange unit and woofers, all with Hexacone diaphragms. The massive, cross-braced MDF enclosure features a 22mm-thick aluminum baffle and the interior walls are faced with a unique plastic-honeycomb substance with the cells filled with steel shot. 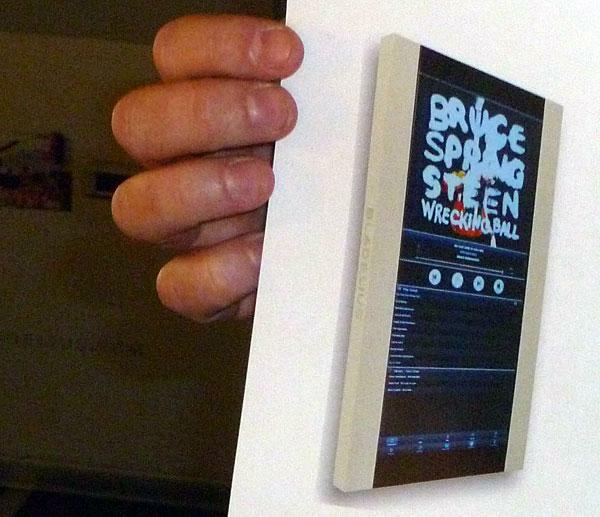 The shot very effectively absorbs vibrations. 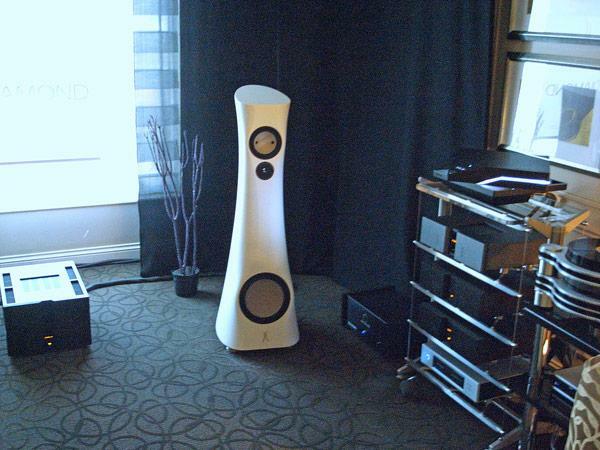 I had auditioned the Estelon X-Diamond speakers ($65,000/pair) at the 2012 Newport Beach Show, but the room there was not allowing the speakers to sound at their best. 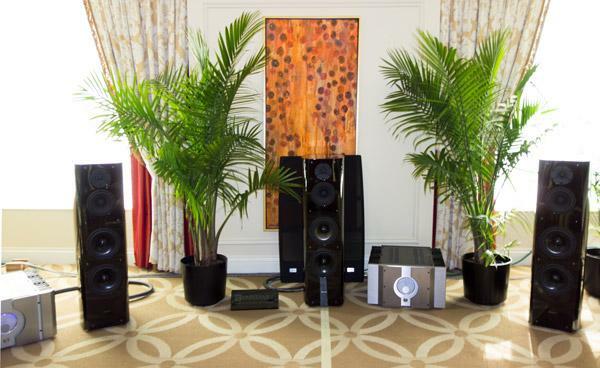 Driven by top-of-the-line, class-A Vitus amplification, these speakers, which use the 1.2" Accuton inverted diamond-dome tweeter, along with a 7" Accuton ceramic-cone midrange unit and an 11" Accuton ceramic-cone woofer, sounded much better at CES, even though the dem room was one of the infamous split-level rooms at the Venetian. Over at T.H.E. Show, Acoustic Sounds' Chad Kassem proudly showed me the box and inserts for his new Bill Evans Waltz for Debby reissue, which will be released as a UHQR LP. Kassem's QRP pressing pant has acquired the rights to JVC's 30 year-old LP technology and each 200-gram UHQR pressing, with its flat profile, will be hand-pressed on a Finebilt press and hand-inspected. Back in the 1970s I was told by an EMI executive that that they could have pressed perfect LPs but people would never pay for it. Chad didn't seem to get the memo as he has invested a lot of money in producing LPs the way they should have been all along! 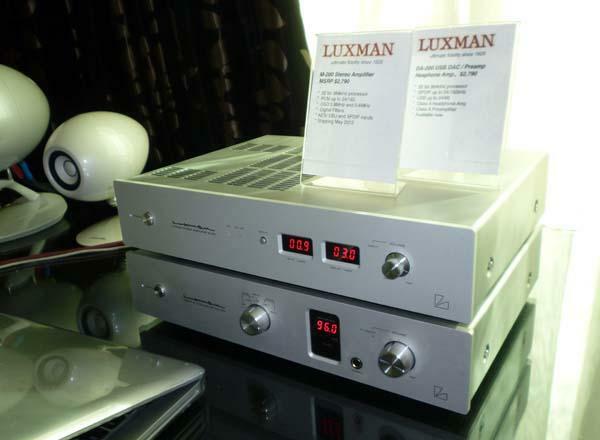 Active speakersie, those that that have built-in amplifiersare generally unpopular with audiophiles. One well-known speaker designer working on his state-of-the-art speaker contender told me at CES that he would like it to be active but marketing told him that it wouldn’t sell, so he’s staying with the passive design. I guess Precision Transducer Engineering (PTE) didn’t get the memoor maybe they wrote their own . . . 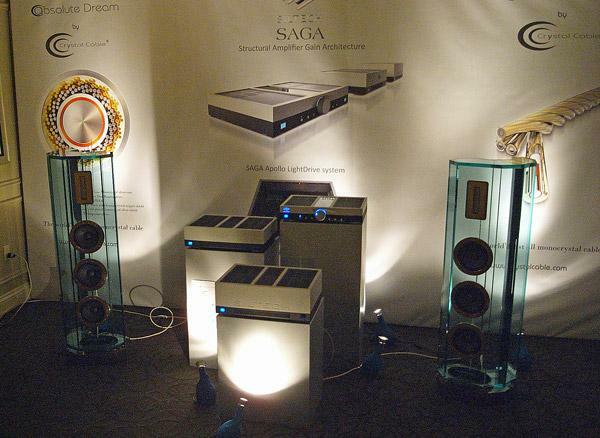 The Arabesque speakers ($90,000/pair) in the Crystal room, with their glass enclosures, were familiar, as were the Crystal cables that Jason Serinus blogged about a few days ago. But the Siltech SAGA amplifierfor Structural Amplifier Gain Architecture were new. 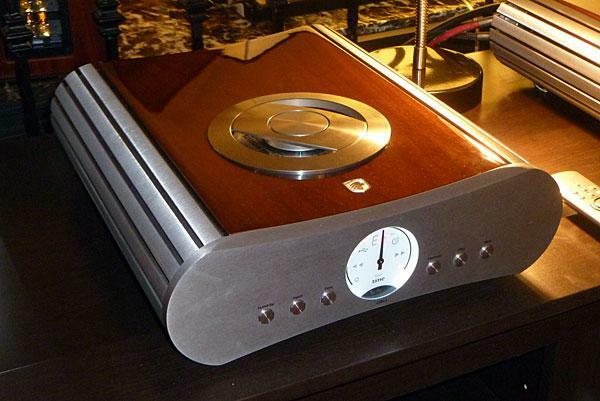 Designed by Siltech's Edwin Rijnveld and costing $100,000, the three-piece, 300Wpc amplifier comprises a preamplifier chassis with ultralow-noise tubes, a battery-powered voltage-amplifier chassis, and a current-amplifier chassis. No negative feedback is used, either global or local, and the current amplifier uses optical drive of the output transistors, called "Apollo Light Drive." Output device biasing is said to be class-A at all powers into all loads. 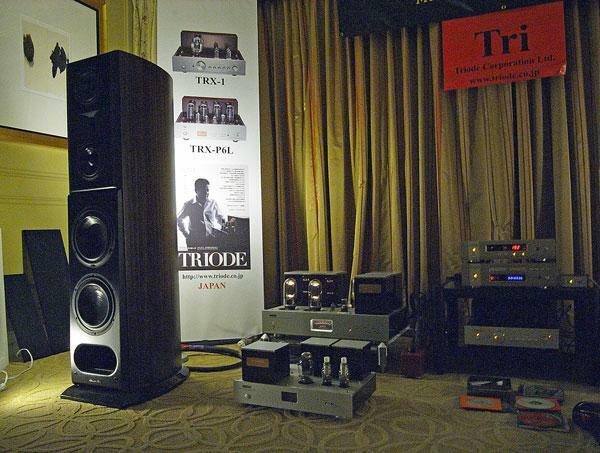 "The synergy is palpable between Triode Corporation's Japanese-made electronics and Acoustic Zen's loudspeakers and cables," wrote Jason Serinus earlier in this blog and I just wanted to add my 2 cents. 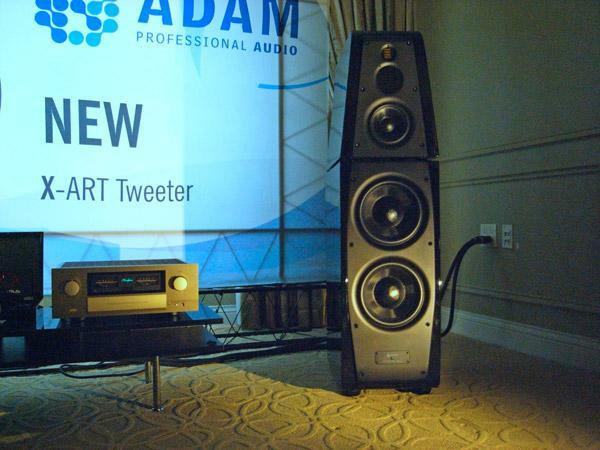 As I had in many rooms at CES, I auditioned my recording of pianist Hyperion Knight performing Gershwin on the Acoustic Zen Crescendo speakers ($16,000/pair). The sound of the Steinway was sweetperhaps a little too sweet?and the soundstage was wide, deep, and stable. And then there were five. 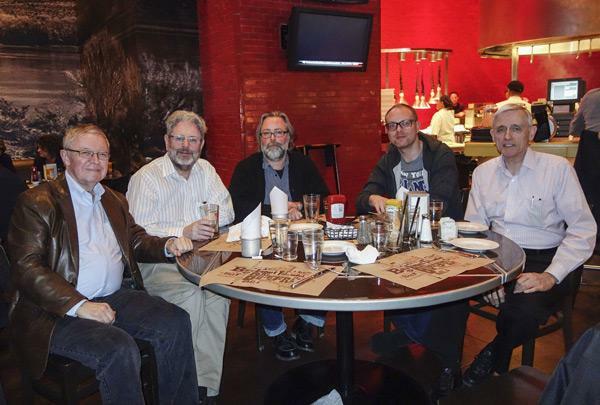 At the end of the show on Friday evening, the remaining members of the Stereophile crew met for dinner at the same BLT Burger restaurant at the Mirage where they had eaten the night before the Show opened. Larry Greenhill, Michael Fremer, Kal Rubinson, Jon Iverson, Tyll Hertsens, and Jason Victor Serinus had already departed, so remaining were (left to right) myself, John Atkinson, Michael Lavorgna (AudioStream.com), Stephen Mejias, and Tom Norton (Home Theater, erstwhile Technical Editor for Stereophile). We don’t even look too tired! While the sound and music in Philip O’Hanlon’s On A Higher Note systems is uniformly excellent, I had an especially good time listening to his smaller desktop system: MacBook running Audirvana, a pair of passive Eclipse desktop speakers, and Luxman’s new DA-200 USB DAC/preamp and M-200 stereo amp ($2790 each). 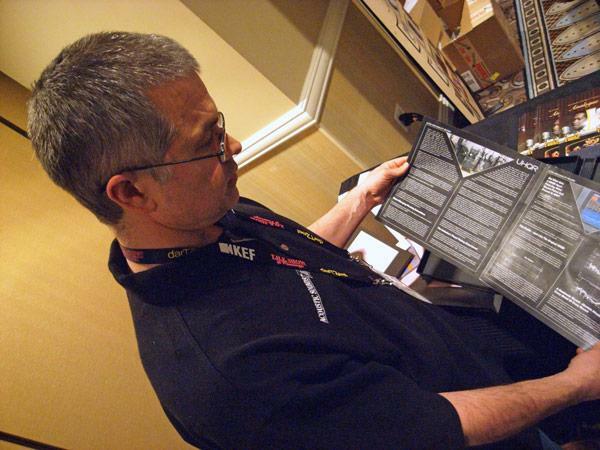 At every CES, I seem to find out on the last day that there was something I should have checked out. 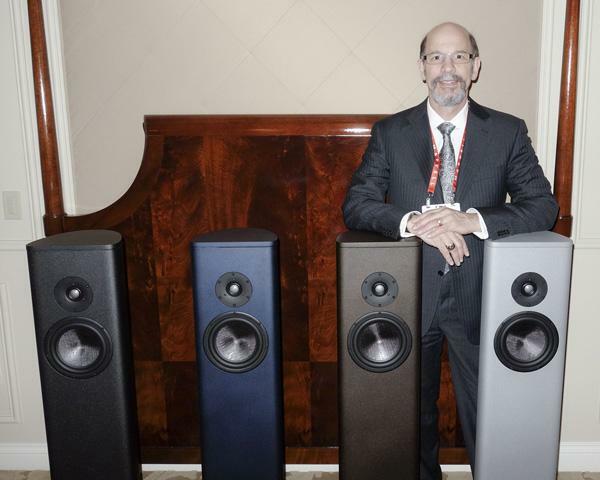 And, sure enough, on Friday afternoon, I’m talking to Wayne Schuurman of the Audio Advisor, who mentions that Magico has a new speaker that’s about $13,000/pair. 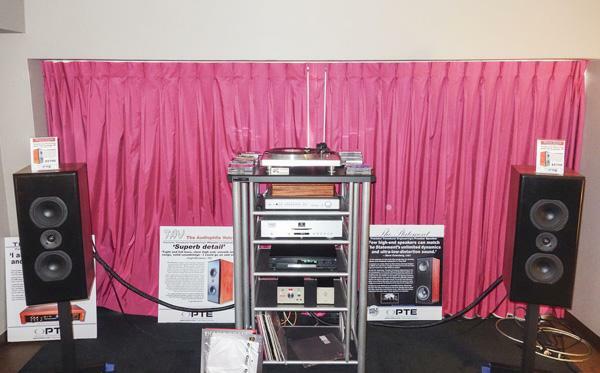 Earlier in this show report, I mentioned that the excellent music played in Jeffrey Catalano’s High Water Sound room served as a reminder of my passion for the high-end audio hobby. And it’s true: From time to time, I do need those gentle reminders. 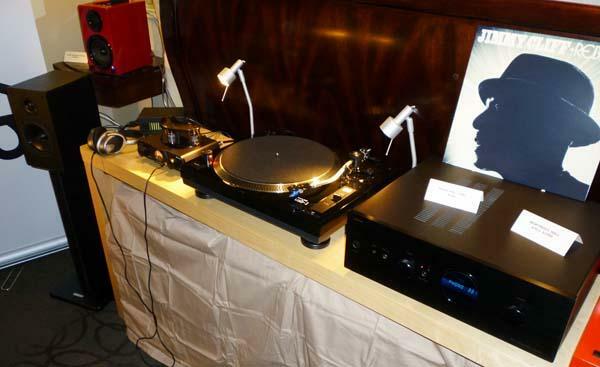 So much of high-end audio remains so completely foreign and unobtainable that I sometimes feel entirely out of place. But in the Music Hall room, I always feel right at home. . . This is the first time I've taken a close look at the Gato products from Denmark. Though the company has a rich history at home, tracing their roots back through GamuT to other brands, the Gato moniker is now making inroads around the US. 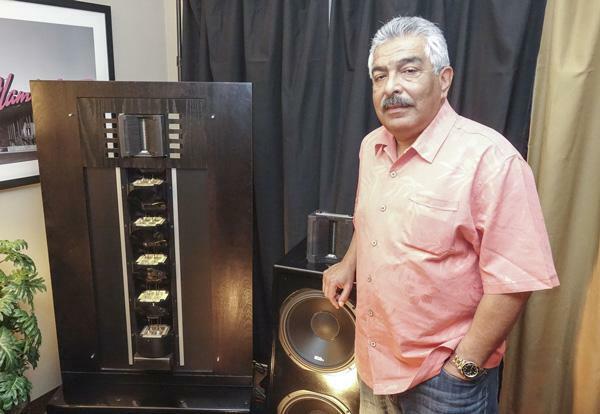 They manufacture speakers, amps and the $8,000 CDD-1 that I spotted in their room at the Venetian.